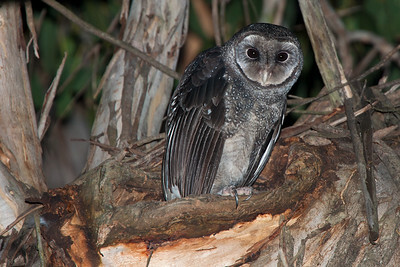 Adult female sooty near nest. 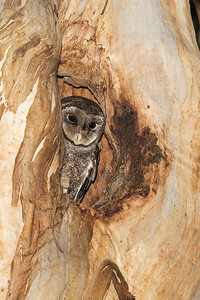 Female sooty in nesting hollow. 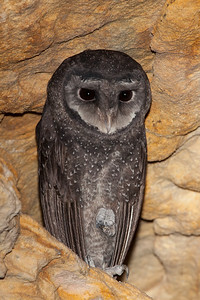 Male sooty in roost hollow. 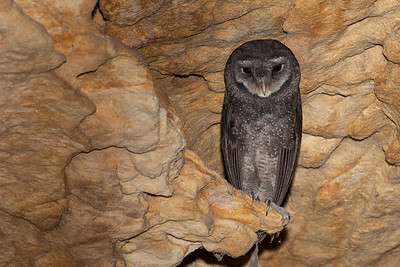 Male sooty in cave roost. 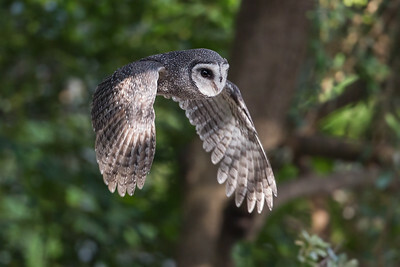 Lesser Sooty Owl in flight at Taronga Zoo's Free Flight Bird Show. 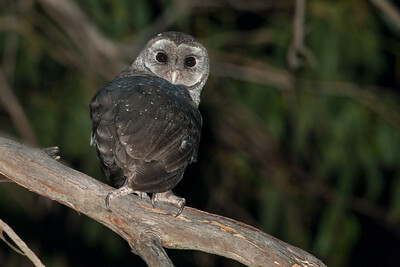 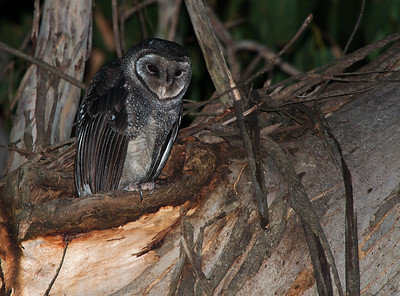 A subspecies of the Greater Sooty Owl according to Australian research. 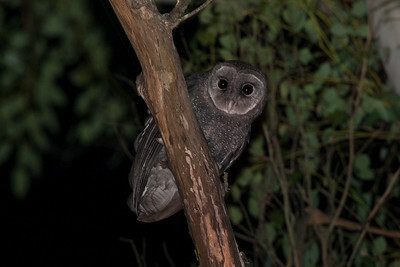 However, others see this as a separate species.